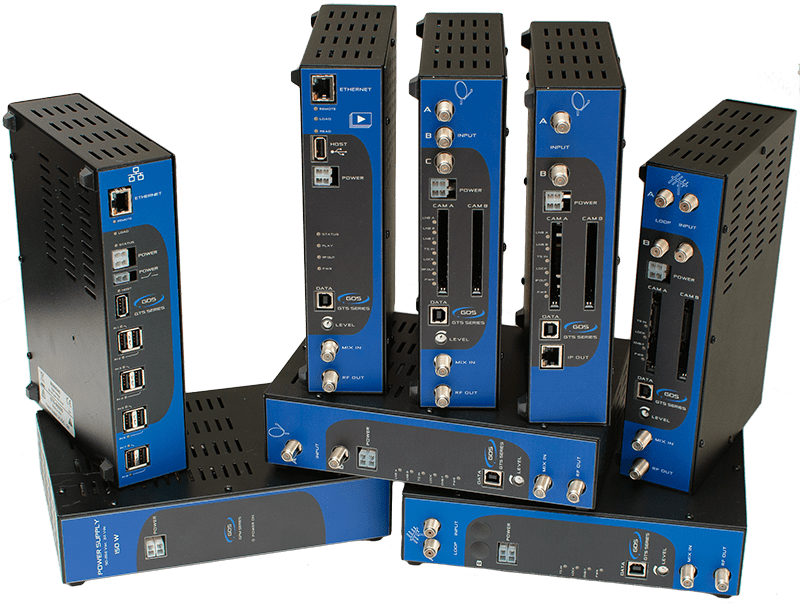 High-end solution for satellite distribution in CATV systems. 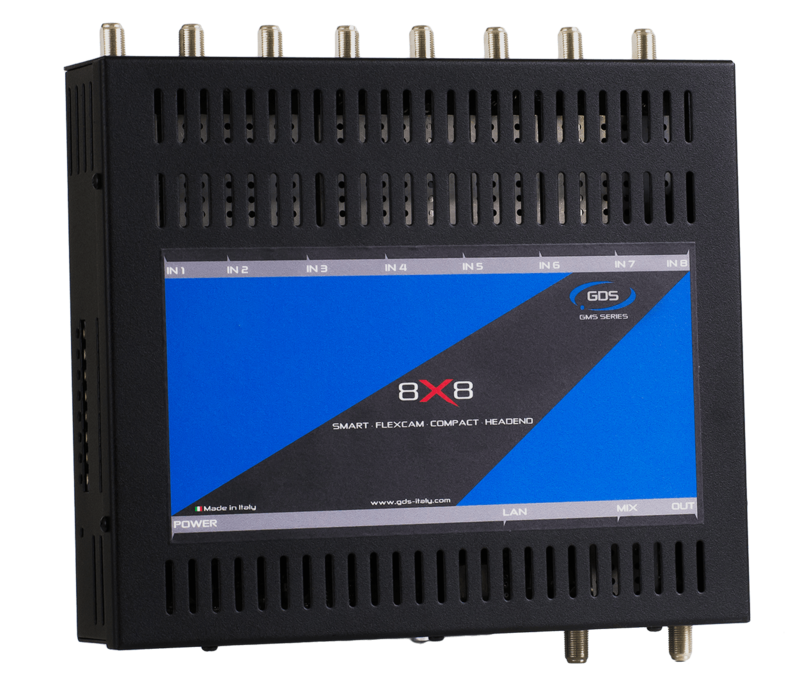 Eight DVB-S/s2 inputs, eight DVB-T output channels and two Flex-CAM modules for maximum distribution. Advanced technogy and evolved functionality. Satellite channels streaming over LAN network. A single satellite dish, a single module to stream over Smart TVs and multimedia devices. 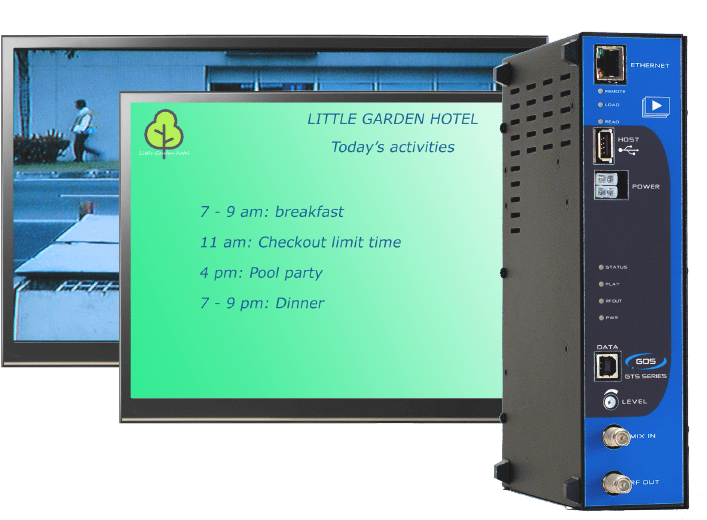 An innovative solution to distribute multimedia over RF cable. Video, slideshow, videosurveillance: everything on TV screen.